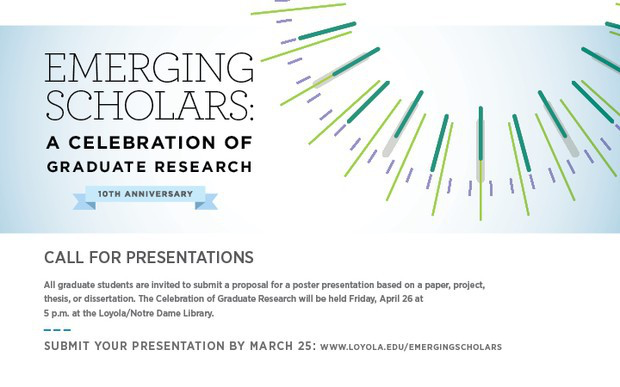 Looking for a new way to get involved in the Loyola community? 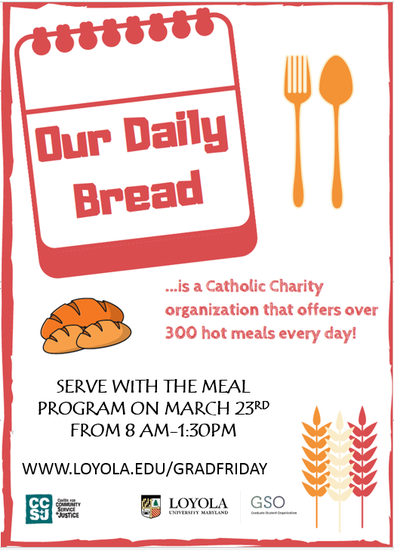 The Center for Community Service and Justice and GSO are teaming up to participate in Our Daily Bread. Our Daily Bread services those in need in Baltimore City, and nourishes between 650 and 1000 people each year. 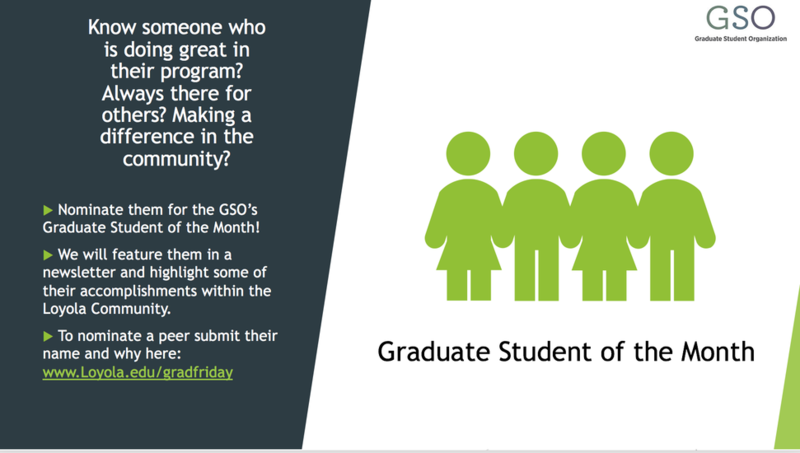 If you are interested in participating in the March 23rd event from 8am -1:30pm with GSO please fill out the form below. 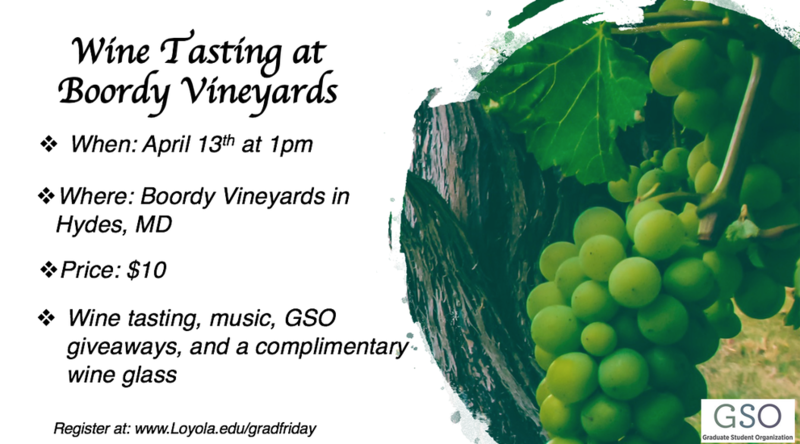 The GSO will be traveling to Boordy Vineyards for their Spring Bluegrass series on April 13th at 1pm. The vineyard will have 7 wines for us to try, as well as a complimentary Boordy wine glass for those over 21. The cost of the event is $10 per person. There will be awesome Bluegrass music being played live at the event. This event is first come, first serve so get your tickets fast before they sell out! Do you ever question your abilities as a gradaute student? Read on! Dr. Shealyn Blanchard of the Counseling Center has written a very helpful article on breaking through the "Imposter Phenomenon." This is experienced by many graduate students, and can affect one's mental health. Click below for the warning signs, as well as tips on how to manage the Imposter Phenomenon.